The weather conditions in mountainous Nepal are often extreme. As a result, trekkers in the himalayas of Nepal, members of expedition looking to climb the Nepalese mountains and travellers to pilgrimage destinations such as Kailash Mansarovar may require urgent medical evacuation (Medevac), casualty evacuation (Casevac) in case of injury during their journey. When you are hit by altitude sickness, the difference between life and death is measured by how quickly and efficiently you can arrange for medical evacuation (Medevac) services. In emergency medical situations, for urgent medical evacuations (Medevac) you can rely on only a helicopter that can reach you in minimal time. 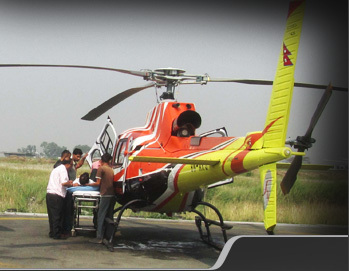 You can depend upon Shree Airlines to offer you professional helicopter medevac services for any emergency situation in the Nepal region. 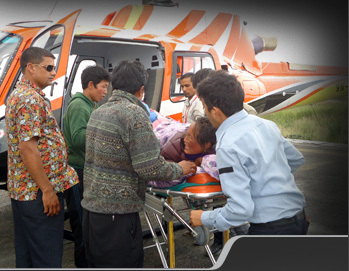 Our helicopters are capable of flying at very high altitudes making them ideal for emergency medical evacuation (medevac) of trekkers/mountaineers/travellers from remote mountains of Nepal. Each of our Medevac helicopters is capable of carrying up to three stretchers with seating for attendants and fitted to hold equipment for for medical emergency evacuation services, such as saline drips etc. If you are planning an adventure trip to remote areas in Nepal be it trekking in the Himalayas or pilgrimage to Kailash Mansarovar or planning a climbing expedition in Nepal, then plan ahead and keep our team pre-informed for any potential medevac requirements. 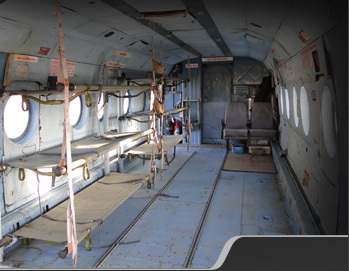 For immediate medevac assistance, please email us at medevac@shreeair.com or call us at +977 1 4222 948 or +9779851026197. 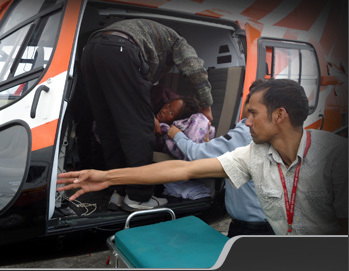 Shree Airlines is authorized by the Civil Aviation Authority of Nepal for Helicopter Emergency Medical Services (HEMS). We have begun operating the AS 350 B3e, which is the first among our rapidly being introduced lightweight helicopter fleet.